The Ribbon of Highway, Endless Skyway concert has received rave reviews over the last 10 years that this special tribute performance has been touring. 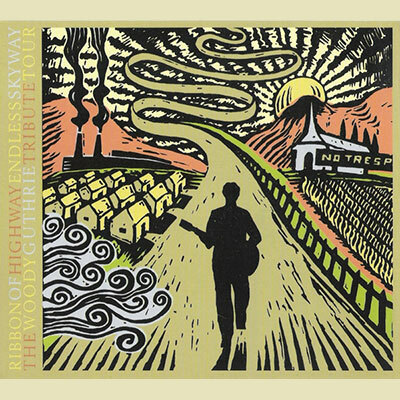 Featuring Jimmy LaFave and a rotating cast of guest musicians, Ribbon of Highway, Endless Skyway is always a unique show. The incorporation of Woody’s prose and music into this scripted show, makes it a one of a kind performance. Featuring Bob Childers, Jimmy LaFave, Joel Rafael, Slaid Cleaves, Eliza Gilkyson, Sarah Lee Guthrie and Johnny Irion, Ellis Paul, Kevin Welch, Michael Fracasso with special appearances by Pete Seeger and Fred Hellerman.